DMI launched A Rosa in North America and Canada just over a year ago, creating the most all-inclusive upscale product in the industry at the time and joined forces with Auto Europe to provide reservation services. As a direct response to partner feedback, they have increased the number of departures in 2015 to 116 covering the main rivers, Rhine, Rhone, Danube Saone, Main, and Moselle. They have also announced a continued relationship with Auto Europe. Guests have enthusiastically embraced A Rosa’s approach to creating a desirable product for younger clientele through onboard products and shore excursions. With this in mind for 2015, A Rosa will no longer be telling clients which shore excursions they may take on a complimentary basis, but will give them a 200 euro credit towards whichever shore excursions they want. This would provide them with an excellent tour each day or if they wanted to take an expensive tour such as a balloon ride. The flexibility is their choice. The cruise line has also created flexible dining for breakfast, lunch and dinner with a two-hour window for each meal, upscale superior buffets with cooking stations combined with a private dining room, or on a reservation basis in the evening for those guests who want a three-course plated dinner. A Rosa has been highly acclaimed as having the finest food on the rivers and this will continue along with superb local wines. They actively seek the younger in "attitude" guest by providing soft adventure shore excursions such as full spa, fitness center and heated year-round swimming pool. There are plenty of bicycles on board for guests who want to take a biking tour or strike out on their own. All alcoholic beverages are included in the price creating a more social atmosphere particularly in the evening after dinner where guests can also enjoy local entertainment. 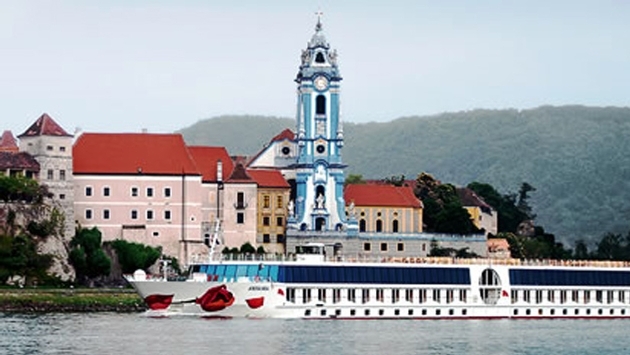 "With over 60 years of experience that we have in Europe, we know this partnership with DMI and A Rosa Cruises will provide a valuable service to agents and their client to customize their river cruise with the perfect land component,” said Imad Khalidi, CEO of Auto Europe, LLC. "Our prices are extremely competitive,” said David Morris, President DMI. "As we are the new guys in this business, we have to provide an excellent product at extremely competitive prices. We are in fact the most competitive product out there when you consider our prices include all alcoholic beverages, superior wine at dinner, gratuities, port charges and a generous 200 euro shore credit. 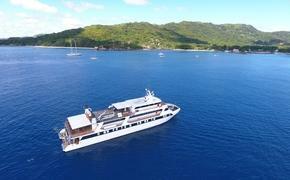 Each departure will be international with an international Host on board." Reservations are now available by calling 1-888-325-5544.